Herbal medicines have been used for thousands of years to treat many different ailments and they can be quite helpful for managing the symptoms of depression. Although they are available over-the-counter at health food shops and pharmacies as well as through herbalists and naturopathic physicians you should still approach their use with common sense and caution. St. John's wort is an herbal supplement that has been used for centuries to treat various nerve and mental disorders. The flowering parts of St. John's wort are utilized to make teas or the concentrated extract is used to make capsule and tablet supplements. There has been an enormous amount of controversy regarding the effectiveness of St. John's wort in treating depression. The most recent studies showed that St. John's wort was not effective in treating severe depression but those who support the use of St. John's wort cite that it has never been purported to treat anything other than milder to moderate forms of depression. You should also be cautious because St. John's wort may increase your sensitivity to sunlight as well as cause anxiety, dry mouth and stomach discomfort. It can increase or decrease efficacy of other drugs you may be taking so you should speak with your doctor before taking St. John's wort. Overall, St. John's wort does, however, carry substantially fewer side effect risks than prescription medication so if your depression is not severe, you can speak with your doctor about trying St. John's wort. Valerian root is known for its sedative properties and as such, is used for depression and related anxiety disorders. It is helpful with nervous medical conditions and is particularly effective in treating sleep disorders. You can find valerian root dried in teas or sold loose; it is also available as a tincture or in capsules. Valerian root doesn't actually treat depression directly. Rather, it works to ease the characteristic symptoms such as sleeplessness and anxiety. It is thought that this herb increases the amount of a substance called gamma aminobutyric acid (GABA), which is thought to be low in a person who experiences anxiety. You should still approach use with caution, however, as adverse reactions with valerian root have been reported. The herb can actually cause some people to feel more anxious alongside nervousness and heart palpitations. In addition, some studies have suggested withdrawal symptoms when valerian root is stopped too quickly. Ginseng has been used for a multitude of conditions, and is now a popular herb for its antidepressant effects. It encourages mental acuity, which is often clouded in people with depression. It also eases the fatigue and exhaustion that are characteristic symptoms of depressive illnesses. The mental alertness users experience can be very helpful in the elderly cohort. Mental functioning tends to decrease with age and is exacerbated in elderly people who struggle with depression. Ginseng is commonly taken in capsules or infused in tea bags for an uplifting hot drink. As it can affect circulation, you should proceed with caution if you have a coexisting condition such as high blood pressure. Gingko biloba is another herb that, like ginseng, can help with the clouded mental functioning often experienced with depression. It is a widely available and popular herb that stimulates cognition and imparts a general sense of well-being. It is available in tea and capsule form as well as multi-herb formulas geared at improving mental acuity and energy. Kava kava is an herb that affects the nervous system and works to bring about a sense of relaxation, which is helpful for those suffering from depression and anxiety. It has also been suggested as beneficial for insomnia and nervousness. Side effects are generally not significant and kava kava has been purported to be a possible natural alternative to the drug valium. It is popular in tea form but can also be purchased in capsules and may be found in sleep aid formulas. Consider seeing a naturopathic doctor or herbalist in addition to your primary care physician, as they will have specialized knowledge of herbs for treating depression. 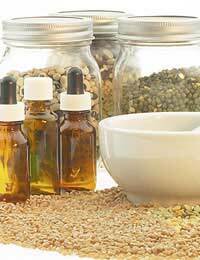 In addition, herbalists often custom mix and blend herbs to treat an individual's specific depression symptoms. By carefully incorporating herbs into your depression management plan, you will hopefully experience relief from your depression symptoms. How Competent is Your Therapist? 8 Year Old, Depressed and Stopped Eating: How to Make Him Happy? How Can I Prevent Clinical Depression Recurrence? Is it Depression or Just Lost Interest? Is This Depression or Just Boredom? My Partner Needs Help, What Can I Do? Partner Supporting Depressed Mother: How Can I Help? What Support is There For Long Term Depression Sufferer? Are People With Depression More Likely To Develop Alzheimer's Disease? Can Manic Depression Be Cured? How Can Your Reduce The Risk of Depression? Can Fathers Experience Postnatal Depression? How Does Online Therapy Help Depression? Is Medication Right for My Depression?